I wasn’t planning on being at work late on a Thursday night but that’s what happened. J was expecting me home for dinner but I was stuck in Marshall until 6:30 which means it would be after 7:30 before I got home. J decided just to go out with some friends for dinner at Latitude 42. She offered to bring something home for me but I wanted to eat before eight. I was stuck in downtown Marshall so I had some options. I went with my standby and searched pizza places. I knew Five Star Pizza was close but I wondered if there was something else. Sure enough, there was. It was a familiar name but one I don’t get pizza from very often. 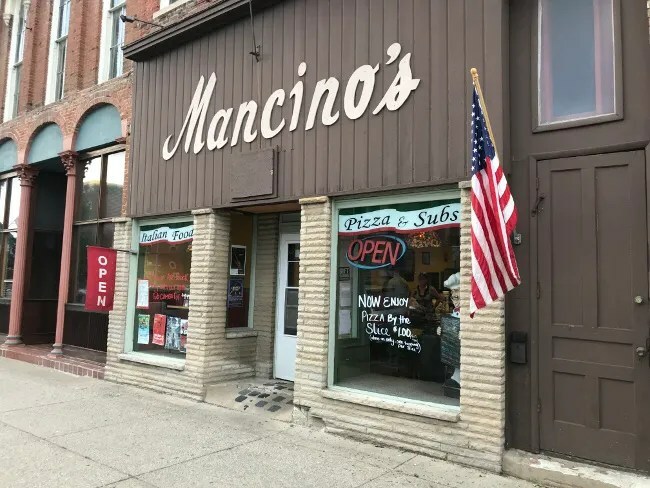 Rollo’s Mancino’s is on Michigan Avenue right in downtown Marshall near the intersection with North Madison Street. 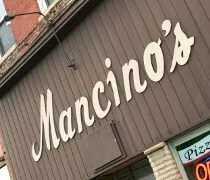 It appears to be part of the bigger chain of Mancino’s that I was familiar with back in Illinois where I grew up. The building is one of the few old buildings in downtown Marshall that looks like it’s seen better days. There is a wood facade over the brick where the name of the restaurant is hanging in large script letters. I called in my order before walking down the street to pick it up. The layout of the restaurant is pretty typical. There is an order window at the back of the building which separates the dining room from the kitchen. I walked right up and told them I had called in an order. It still had a few minutes to cook so I paid the $15 then took a seat in the small waiting area between the restrooms. 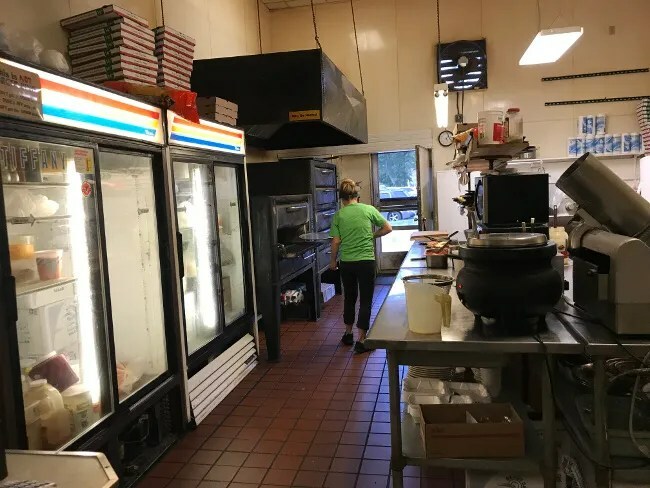 The thing I noticed right away is this Mancino’s doesn’t use the conveyor oven that most of the others do. They have real pizza ovens. 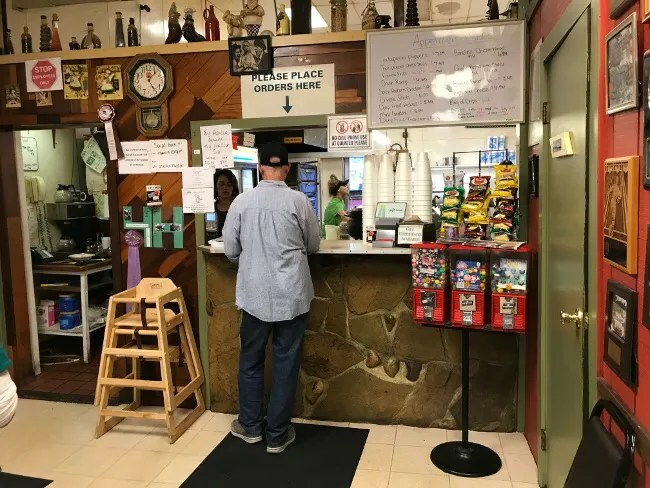 I was taking my pizza to go but they do have a pretty large dining room and there were several people sitting down and eating while I was waiting. 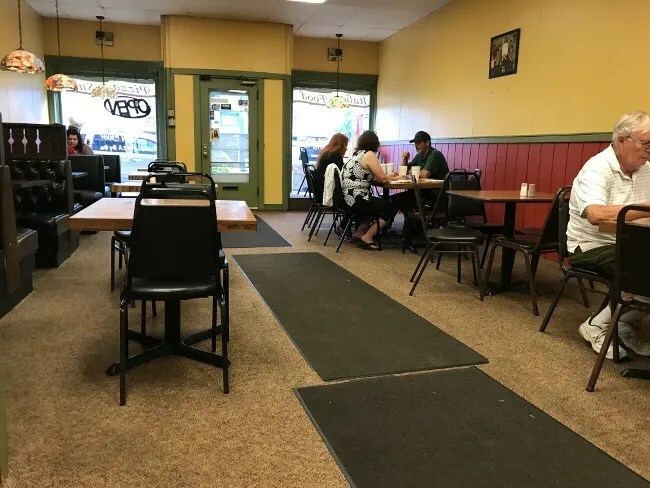 The dining room is simple with a row of high back leather booths and two rows of cheap tables and chairs, but it’s a comfortable enough space with a color scheme that would be more recognizable as something of the early 90’s. The pizza took about 25 minutes to come up which was a little bit longer than they had told me on the phone. I actually headed back to my car to eat because my co-worker and I still had a little bit of work to do. I don’t typically get pizzas at Mancino’s. I love the Pizza Grinder so that’s what I usually get. I decided to do a pizza this time and it was sooooo close to be a really delicious one. 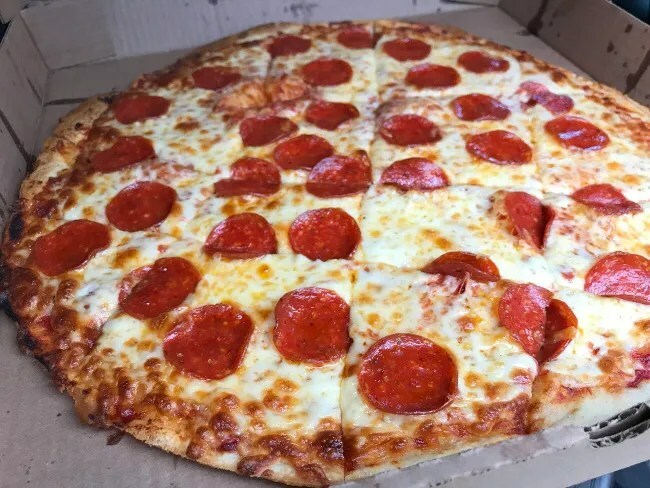 The thin crust pizza was cut into squares and covered in a mixture of pizza and cheese grease. The cheese had a little bit of a golden brown ring around the outside. The only thing that really held this pizza back from being really great was a very limp, almost undercooked crust. 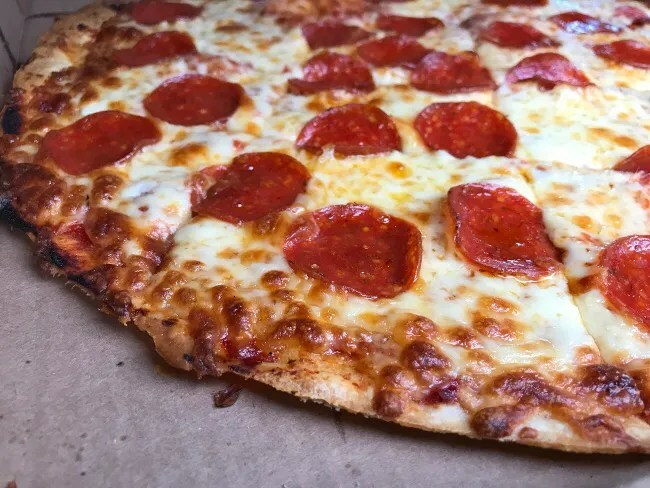 I love thin crust pizza but it’s truly great when the crust is just a little crispy. This one was just short of that. Rollo’s Mancino’s did what I needed it to do. I was hungry. I wanted a pizza. I got a tasty one. I ate about half standing at my car then saved the other half for breakfast the next morning. The pizza was a little undercooked for my liking but the flavor was spot on. A couple more minutes in the oven would have made this a totally different pizza.